Beautiful people don't need a special frame to feel good. 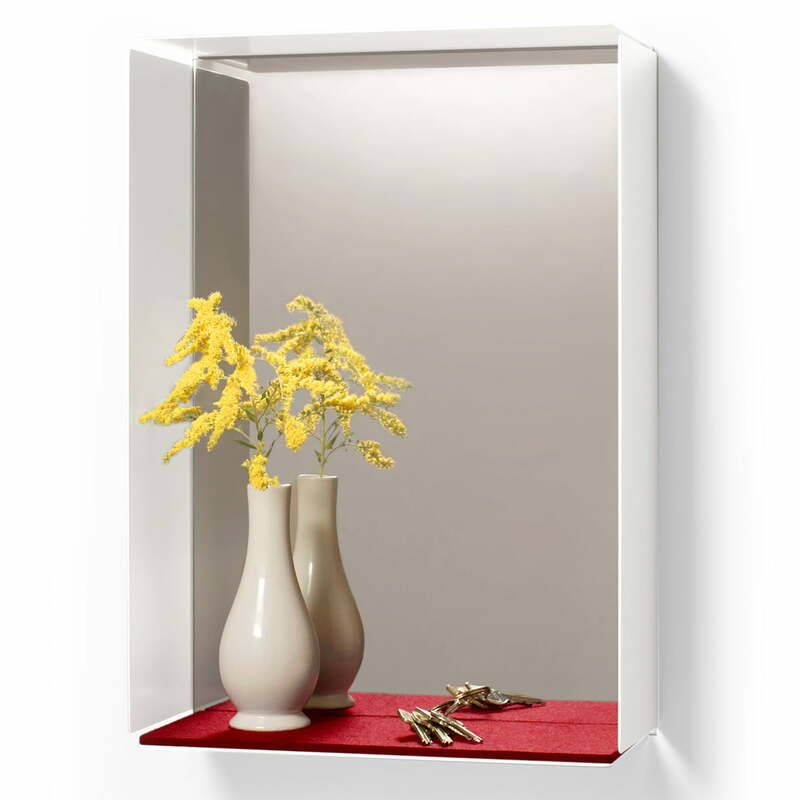 A simple white frame made from powder-coated steel is enough. And of course a mirror. For the first glimpse in the morning. For the last glimpse before you leave the house. And for all those other times you make eye-contact with your own reflection. To keep an eye on everything else that matters, there is also a small shelf for small and large items. 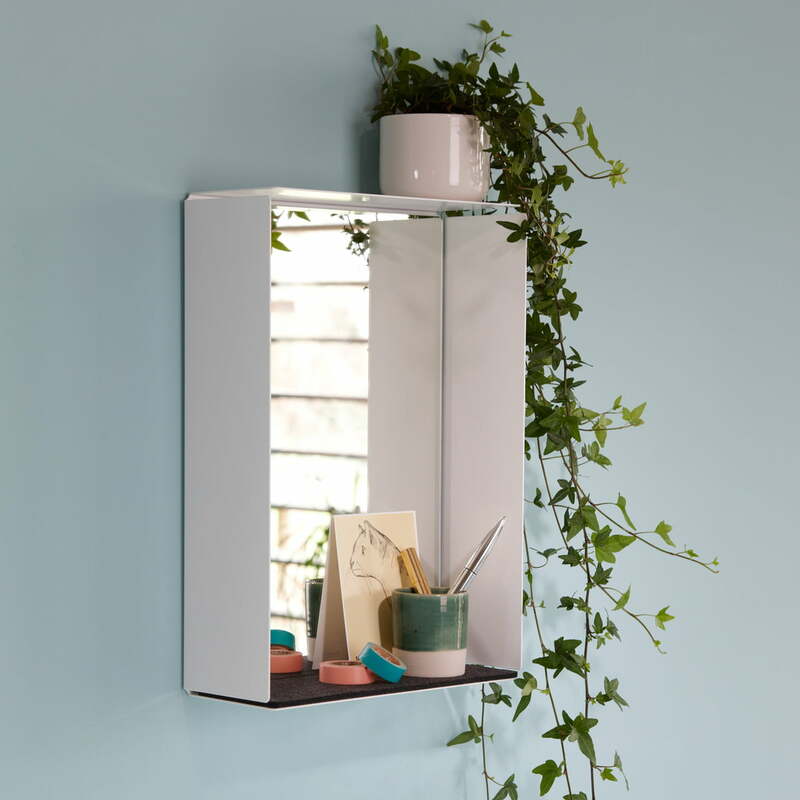 The mirror box is a design by the design office ding3000. 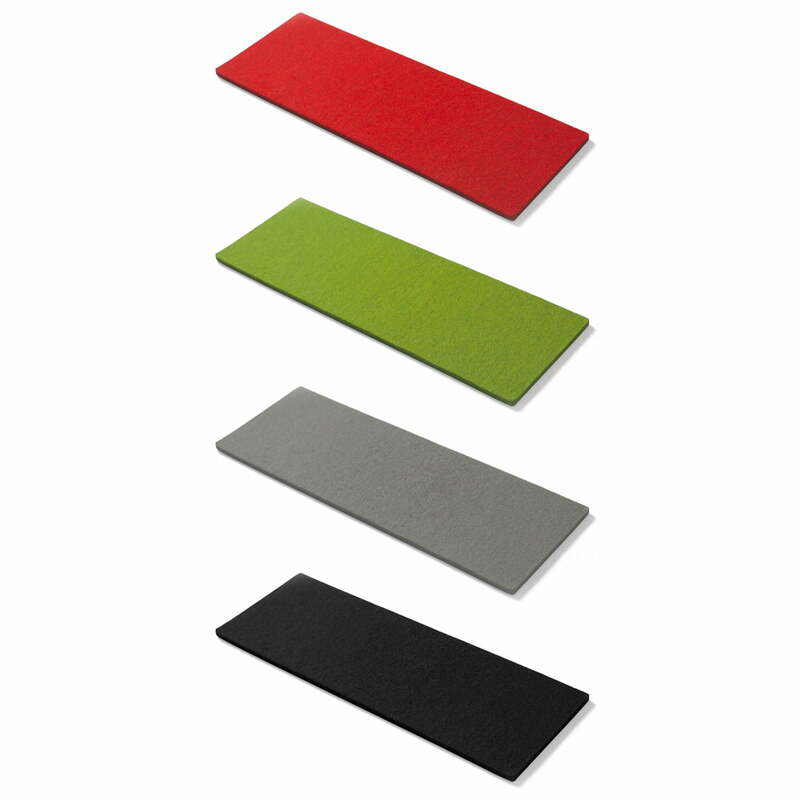 It consists of powder-coated steel sheet with a felt or cork shelf and, forms an innovative series of small pieces of furniture together with the Side-Box, the Charge-Box and the Key-Box. 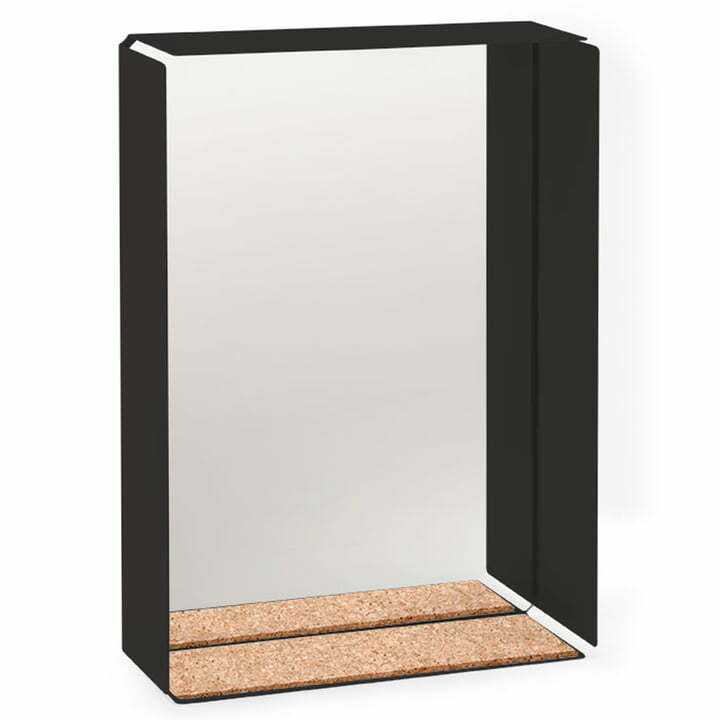 Isolated product image of the Konstantin Slawinski - Mirror-Box with a back frame and a cork shelf. The Mirror Box is a design by the design studio ding3000.